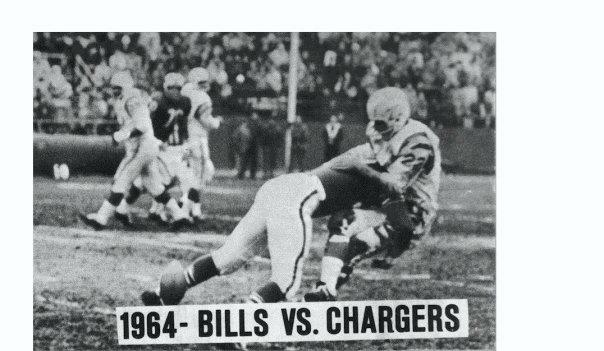 The Buffalo Bills had had a lot of ups and downs In their 56 year history. 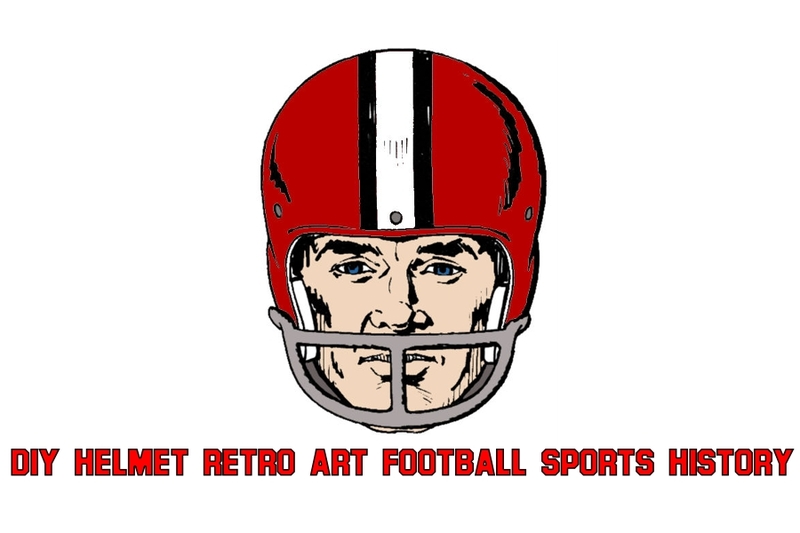 Starting off as an original franchise in the storied American Football league where they would win their only two league championships in royal blue jerseys. This was the era of Hit heard around the world” and for several seasons the Juice himself. As the 70s approached the Bills got a brand new suburban stadium in 1973 to replace their crumbling pre-war era stadium that was affectionately called the Rockpile. With The new stadium came a new logo in 1974 that would mothball the standing Buffalo for the better part of forty years with the exception being a brief appearance in the NFL 75th /Bills 35th Anniversary season. 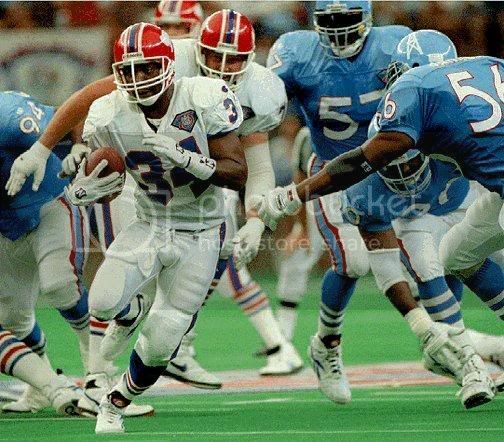 The charging Buffalo would suffer some of the leanest years in franchise history with two dismal 2-14 seasons which led to high Draft picks and bills legends Bruce Smith and Andre Reed. With these players and the addition of 1983 pick Jim Kelly, the Bills would dominate the AFC for the next decade with five AFC Championship appearances and four Super Bowl appearances as well as one of the best records of any NFL team in the entire decade of the nineties. 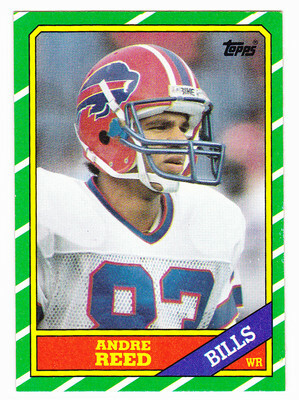 Unfortunately the good time would not last and as the nineties closed out so did the Bills success. In January of 2000 the titans would steal away the Bills last shot at another Super Bowl appearance. That would be the last Bills playoff game and the franchise would find themselves at the bottom of the league two years later in 2001. After a dismal 3-13 season the Bills (who had been planning the change for two years) decided to abandon the uniform they had the most success in for one of the biggest NFL uniform disasters in the modern era. For the Bills new look in 2002 they decided to stick with the red helmet and charging Buffalo, but that was about the only good element of this uniform set. To start with they decided that just keeping the red helmets they wore since 1984 wasn’t good enough and made the somewhat subtle and totally unnecessary change to the helmet stripes pattern. Leaving behind the Auburn style stripes they had been using since they switched to the red helmet and adding a ridiculous multicolored stripe that featured royal blue, navy blue, white and silver. The latter supposedly an ode to the team’s first siver uniforms. Then it would get worse. The team also for the most part abandoned the royal blue they had worn since the 60s and went to the 90s cool navy blue throughout. 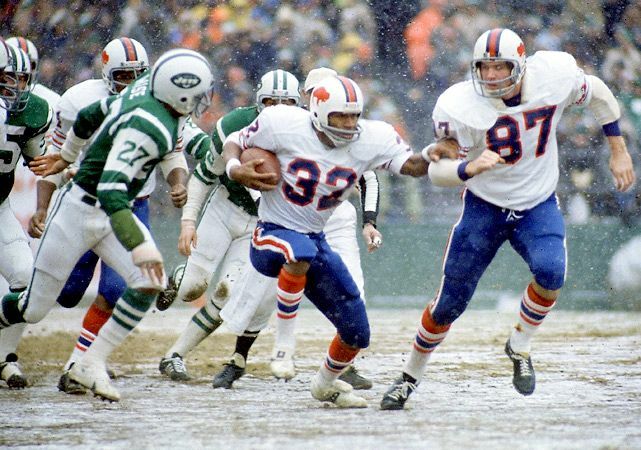 The home uniform paired with white pants wasn’t an awful look, but then the players requested that they go monochromatic and the Bills stuck with that look for nearly every home game thereafter. 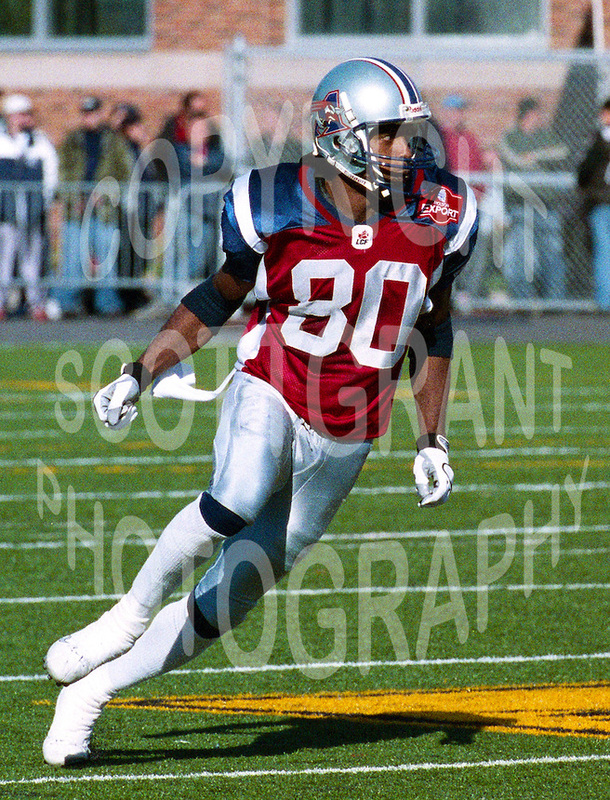 The away uniforms featured a Montreal Alouettes like navy shoulder yoke and the same unnecessarily dark color for the pants. 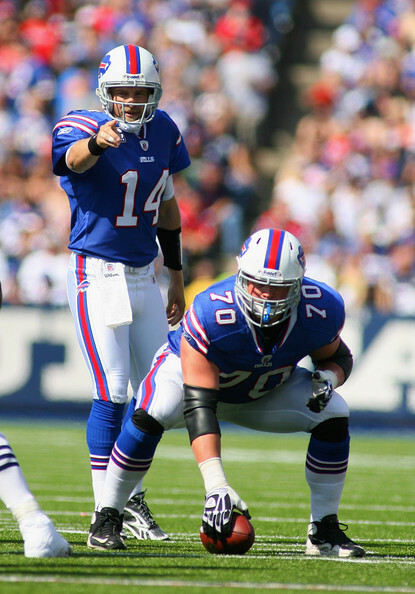 Again this wasn’t the worst look, but the Bills mostly went white over white during this era, arguably completely missing out on the best looks of the uniform set. 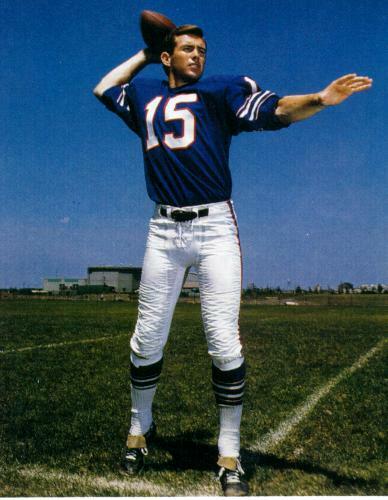 In 2005, Bills fans’ eyes got a brief reprieve when the Bills introduced their 1960s throwbacks. 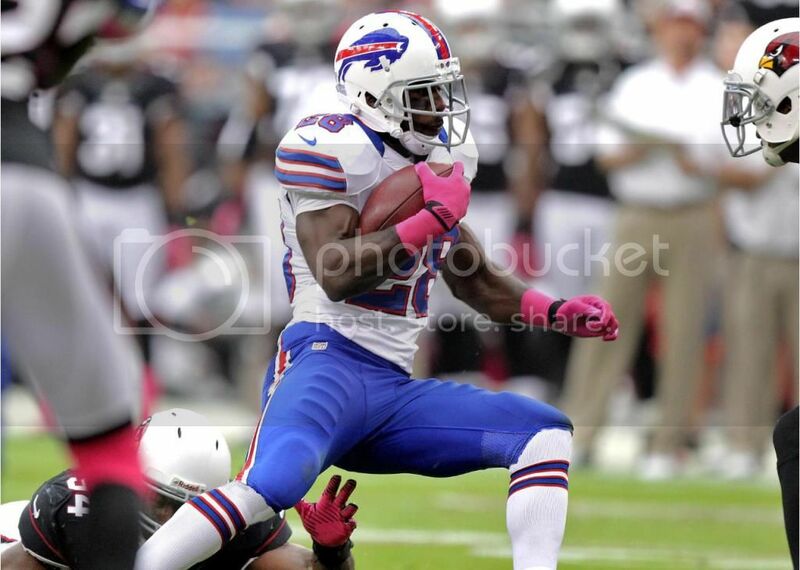 All and all it was a ugly period for the Bills both in wins and losses and in on-field attire. 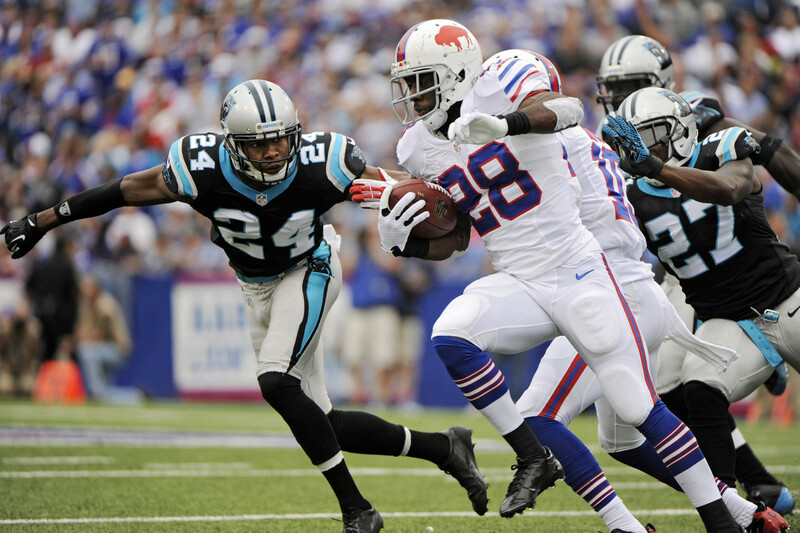 Finally in 2011 the Bills introduced their current set which made a triumphant return to royal blue and switched back to a white helmet shell as their primary helmet for the first time since 1983. Instantly giving the team a complete 180 degree switch from one of the worst uniforms to one of the best sets in the league. As an added bonus they would also introduce a white version of their 1960s throwbacks which is a great compliment to their current fauxback set. The only negative in my opinion is the polarizing addition of the blue pants that unfortunately led to more monochromatic looks. Lots of fans like it though, and as of the 2016 season they have not lost a game in that uniform, so I guess it is not that bad.